Aim the Thresher at the wall to activate the lab’s flip function. Walmart: Little Tikes Sizzle and Serve Grill – LOW PRICE! Fisher-Price Brilliant Basics Stack and Roll Cups – Such a Cute Deal!! LEGO Marvel Super Heroes Rhino Face-Off by the Mine – GREAT Price! Walmart: My Sweet Love Baby Doll and Accessories Under $10! Walmart | Kids 3-Piece Robe and PJ Set ONLY $10! Walmart: Ozark Trail 6-Person Instant Cabin Tent – Save 45%! Walmart: Personalized Photo Ceramic Mugs Only $4.99 – Great Gift Idea!! Walmart: *HOT* Board Game Bundles + FREE $20 Walmart Gift Card! Monopoly Gamer Collector’s Edition – Great Deal!! Just Dance 2019 – Great Deal!! 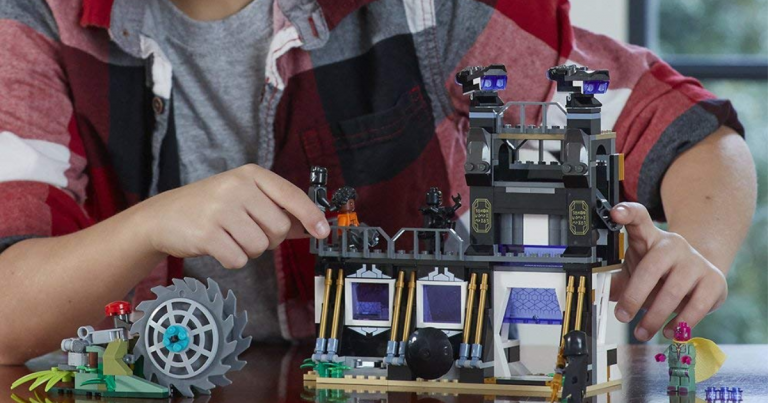 LEGO Classic World Fun Building Kit – GREAT Price!